The University Library is a circular two-story building, having a total floor area of 2,440m² (Photo 1). The lower floor offers an open shelving stack room, carrels, and group study rooms, the mezzanine floors feature reading desks and tables (Photo2), while the upper floor has the entrance gate, the information counter, serial and reference collections, and a viewing room equipped with DVD players. Collaborative learning tables are provided in the study space in front of the entrance gate. The library houses approximately 167,000 volumes, 3,800 periodicals including electronic journals, and 600 multimedia materials. Natural science and engineering materials are featured, while those of literature and the social sciences are also held. Faculty members and students of Toyama Prefectural University can search books or journals on-site with the help of librarians or online using the library database. The library is open to community residents as well. Over 36,000 people visit the library every year. Details are on the library home page (http://www.pu-toyama.ac.jp/library/). Cooperation with the community and industry is one of the most important outreach activities of the university. 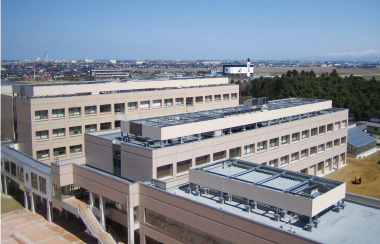 The Regional Cooperation Center of Toyama Prefectural University (TPU) was founded in 2004 to coordinate systematically a wide range of activities and to cultivate new areas of interrelationships with the community. Since its foundation, the center has worked as the gateway to the university for citizens and industry. 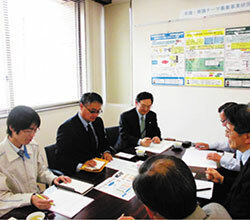 The center has been supported by the “Kenkyu- Kyoryokukai” (The Society for the Promotion of Cooperative Research) which was also established in 2004. It now consists of 211 enterprises and 14 individuals. The functions of the center (1) support cooperative research, commissioned research, etc., (2) match university seed activities with community needs (3) provide engineering and technological consultation services, and (4) support the incubation and creation of intellectual property. Academic information is exchanged between TPU and the community in many ways such as open forums, open seminars, ”Step Up” seminars for young engineers focusing on specific topics for community engineers, and the ”Da Vinci Festival,” a science-enlightening event for elementary school and junior high school students. The Regional Cooperation Center of TPU takes pride in its service to the community in intellectual creative activities and in cooperation with community interests. Toyama Prefectural University maintains one of Japan’s top success rates in securing employment upon graduation. The Career Center promotes ”broad-based life career education” to build in students a spirit of independence that supports effective decisions on career choices in collaboration with various organizations and business communities in the area. ●Advice on interviews and the hiring process. The Computer Center provides computing and communications services for academic and research activities. 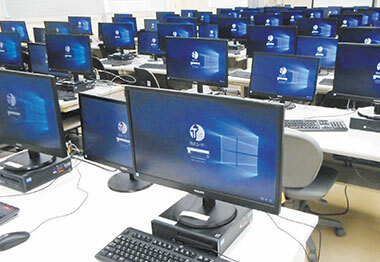 The center also manages the network infrastructure and IT security on campus. ● Technical consulting and advice. 4. Acceptance of trainees for technical education. Researchers and staff include a director, an adviser, all staff of the Department of Biotechnology, as well as selected staff from other departments. Additionally, researchers from Toyama prefectural research institutes and outside research laboratories collaborate in projects. ※The functions of the "Biotechnology Center" of Toyama Prefecture (1992-2005) and the former Biotechnology Research Center (1992-2005) were integrated into the new Biotechnology Research Center in April 2006.